Dragon Stone is associated with the Heart Chakra and its Zodiac association is Leo. Dragon Stone encourages the dragon is us all. Its properties draw strength and boldness, assists one in discovering personal power, and encourages vitality. It enhances Life Force, and activates pleasure in community interactions. 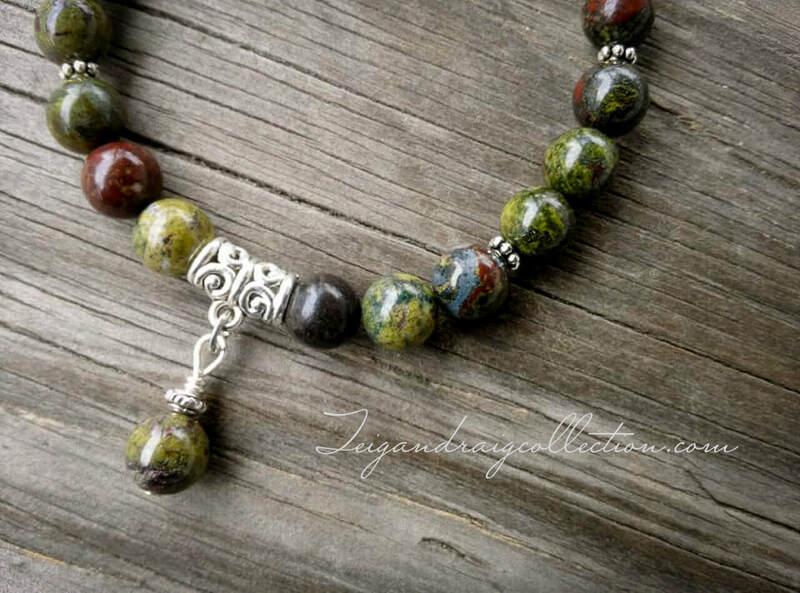 Dragon Stone helps one achieve their goals, and draws love and prosperity to the wearer. 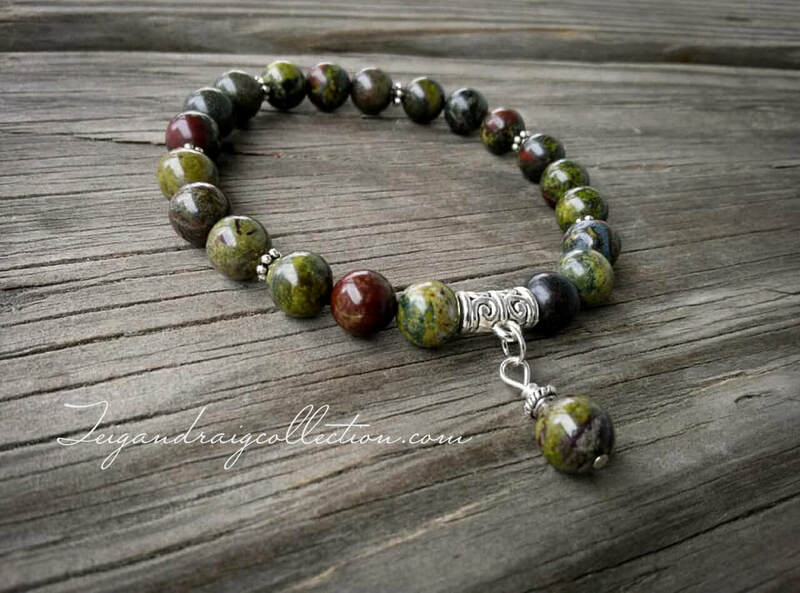 Dragon Stone brings gentle grounding, and protection from negative energies. 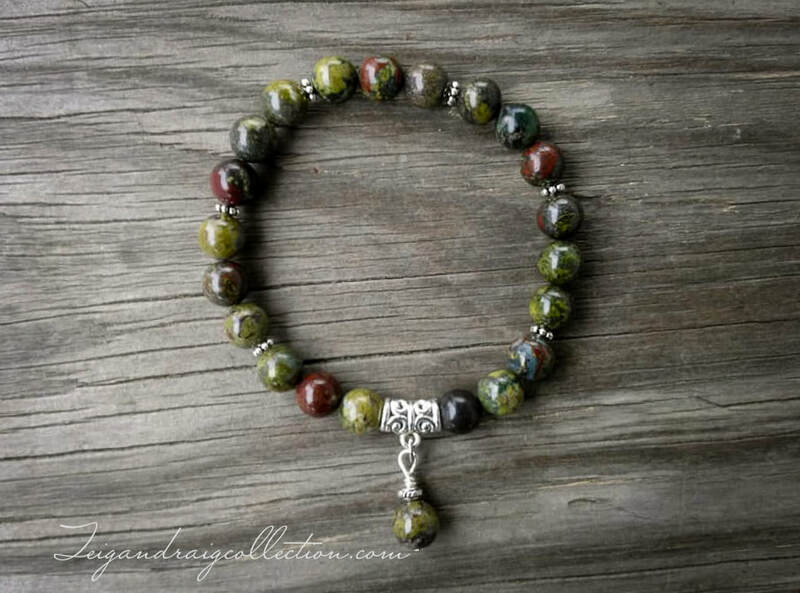 Unleash your inner dragon with this simple, yet beautiful Dragon Stone stretch bracelet. Designed for both men and women. 7.25 inches long on a stretch cord with silver tone accents. Available in multiples made to order as shown.